The mortgage industry is synonymous with fraud. I remember the first day I started work as an Account Executive, my boss told our training class just that. It was meant to be a warning, and it proved to be a very valid one. Since then, I’ve seen and heard of all types of scams and fraud carried out by brokers, borrowers, and even co-workers, and it occurred to me that I hadn’t mentioned anything about mortgage fraud or mortgage scams beyond my predatory lending page. Mortgage fraud is rampant, and while constantly addressed, cannot be stopped. Everyone involved in the mortgage industry, from the borrower to the mortgage lender, has probably seen or been a part of a mortgage scam at some point. Pretty much all of the big name mortgage lenders have been accused of ripping off consumers. Companies like Ameriquest, Countrywide, and Money Tree, to name but three that no longer exist. I knew a guy who worked at Ameriquest and the mortgage points they were charging on loans were ridiculous. Usually something around 6% (and up) of the loan amount, which is a huge cost in my opinion, and probably yours. While this may have not have constituted mortgage fraud, or a scam, it certainly seemed like price gouging and very high-cost lending. Nowadays, most of today’s mortgages have a cap on fees to prevent this type of thing from happening, though some loans are still exempt. It’s a polarizing topic, but lenders should be restricted to the amount they can charge a borrower, within reason, especially if they prey on low-income, bad credit borrowers. It’s funny (in a sad way) that the more trouble you have with debt, the more you’ll get taken advantage of, mainly because you have little other choice if you want to buy a home, keep your home, and avoid foreclosure. While this may not be clearly defined at predatory mortgage lending, it’s definitely done in bad faith, so it’s probably a good thing that the government imposed some new regulations. The problem with capping what mortgage lenders can charge a potential customer, like everything else, is that it gets murky really quickly when you start considering different loan amounts, varying levels of risk, and so on. And high-cost lending goes beyond the lender itself. It extends to mortgage brokers and loan officers who act as a liaison between the homeowner and the lender. Many of these representatives are the ones taking advantage of the opportunities to charge exorbitant amounts of money as deemed appropriate by the lender. And the scary thing part was lenders used to entice brokers and loan officers with higher incentives on high-risk loans that the lender could sell-off to investors at a higher yield. During the 2010s, this was typically the negative amortization loans, also known as pick-a-pay loans. And the ones who ended up paying a big price were the borrowers, along with the American taxpayer. These familiar schemes involve an offer that is presented to the borrower early-on as a means to entice, but later once the borrower has signed, the terms of the deal change. Essentially, the borrower jumps at a great deal, and ends up with a terrible one, or not-so-good one. 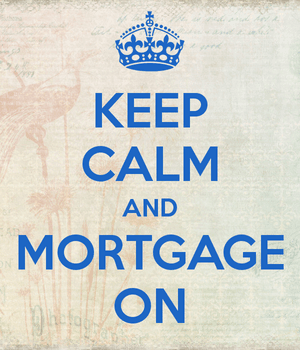 This can involve mortgage rates, which are promised to be the lowest available until all the paperwork is submitted. Then the borrower is told they no longer qualify for X rate, or that rates increased in the days since they applied. Unfortunately, these excuses can actually be true in many cases, which makes it hard to prove that there was ill intent. Certain types of loans, such as negative amortization loans, can fall under this category as they present borrowers with a great introductory low rate, but before long the interest rate may become unmanageable for many borrowers. Loan flipping, also known as loan churning, refers to the practice of constantly refinancing a mortgage, often times when it is unnecessary, or offers little to no benefit to the borrower. A broker, bank, or loan officer may encourage a homeowner to refinance their loan simply to collect the associated loan origination fee and/or other fees, saddling the homeowner with more and more debt, along with a longer mortgage term. Ginnie Mae recently cracked down on this practice associated with VA loans, whereby veterans would be bombarded with refinance offers shortly after closing on their existing loan. Loan packing is the act of adding overages and other unnecessary or high closing costs to your loan. It’s similar to getting your car worked on by a mechanic and getting hit with a ton of random charges that make little sense. Basically, a broker or lender will add fees or encourage you to buy into programs that aren’t necessary, and simply make your loan more expensive. After closing your loan you may be told you owe certain fees, or end up with different terms than those you agreed upon. Mortgage servicing scams may also involve the originating lender who will discourage homeowners to refinance with a different lender, or simply tell them they aren’t able to do so. The borrower will then feel trapped with a certain bank or lender thanks to these conniving plans. Ever since loan modification progams became widespread, scammers have surfaced, looking to take advantage of already debt-stricken homeowners. These types of scams usually require that homeowners provide an upfront fee in order to get a loan modification. Many of these may be unnecessary, as homeowners are able to receive comparable assistance free of charge via housing counseling agencies and similar outfits. Equity stripping is another mortgage scam where a bank or lender will encourage a homeowner to take cash-out of their home time after time until most of the equity in their home is stripped away. And once the homeowner is stuck with a huge mortgage they can’t afford, they may foreclose and give their house up to the bank. Sometimes schemers will use a so-called straw buyer, who could be a willing or oblivious participant in a mortgage/home buying transaction. Their credit and identity is used to purchase property with the sole intent of pocketing the proceeds and never repaying the loan. In summary, these practices can easily fall under the categories of mortgage fraud or mortgage scams. While they may be legal in some cases, they are usually done in bad faith and for the monetary reward only. The job of any bank, lender, broker, or salesperson is to assist a homeowner or prospective homeowner, and do so with honesty and in good faith, as outlined in Real Estate Law. The sad thing is that major corporations are often setting a bad example for those who set out to work for or with them. Mortgage fraud can also hurt banks and lenders if fraudulent brokers or borrowers, or both, work together to slip sketchy deals through the cracks.